Enhancing nature through design and creating exceptional landscapes that could easily pass off as environmental art – that’s the passion underlying design and construction principles at Ginkgo Leaf Studio (GLS), Wisconsin. The simplest explanations are often the most profound. Perhaps, because they allow a glimpse into the core of issues integral to us. The best conversation can be companionable silence, chocolate can be a cure for the blahs, familial bonding can make stove-pot cooking incredibly tasty and scale-proportion can re-wire hardscape and planting concepts like no other element can! And who could know this better than the man who philosophises, “Every design element has a reason for being.” That man is James M. Drzewiecki, award-winning landscape designer, who has a lifelong interest in plants, is an in-demand speaker and is blessed with a passion for design. 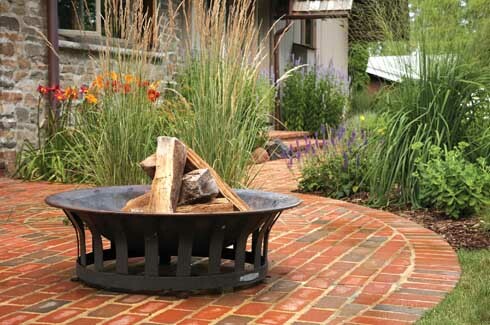 This rustic fire bowl sits pretty in a sunny spot adorned with a casual grouping of long blooming perennials–much akin to whimsical wildflower growth – that has been laid out elsewhere. James founded Ginkgo Leaf Studio after having worked with one of Wisconsin’s largest landscape firms for over 12 years to which he credits his in-depth knowledge of the landscape industry. James explains his design process as a coming together of scale and proportion, texture, colour and light, which he tags as “part of the overall composition,” believing “landscapes should be experienced emotionally, whilst being beautiful and functional as well. Foliage colours of multiple shades of green follow the curve of the brick mortar walkway whispering softly to ornamental grasses of varying heights set to plant beds that stop short only of the iron clad gates of the inner sanctum of the property. James’ client was in the process of remodelling his childhood home in a complete floor-to-ceiling effort and aiming (with architect in tow) for a rustic lodge feel, like those found in Wisconsin’s Northwoods. This was the base for James. 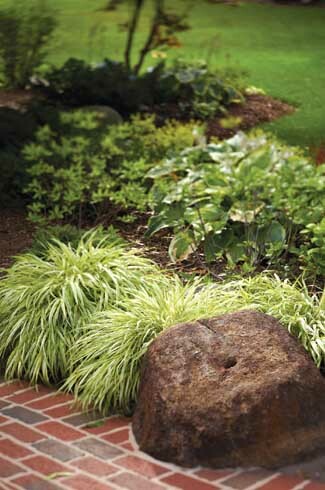 James responded with like ardour – bringing in granite boulders and groups of ornamental grasses scattered decoratively through the landscape. These small, imaginative touches worked so magically to transform the hardscapes around the foundation of the home that the client requested additional design works for the remaining areas of the property, keeping James busy over 6 years, till date! Capturing the interests of the homeowners, James used the prairie grasses theme and injected ironwork pieces into specific locations across the landscape to reflect the owner’s hobbies of collecting Native American artifacts and antique iron architectural elements, respectively. Extensive use of stone elements was also done considering the client’s love for this material. Celebrating the client’s love of natural stone, specimen native granite fieldstone boulders placed strategically have been integrated into the paving design and planting beds. 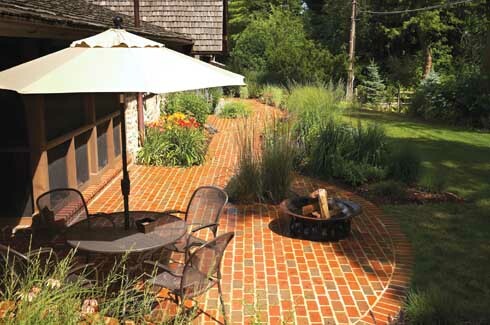 Yet, the cosmetic enhancement of this 55,000 square feet property located at Elm Grove, Wisconsin, wasn’t all smooth sailing for the design pros, the main challenges being convincing the client to let them design the hardscapes (front walk, backyard and entertaining spaces) along with the planting plan and stretching the client’s imagination to “look beyond what you see” (meaning trees and shrubs). 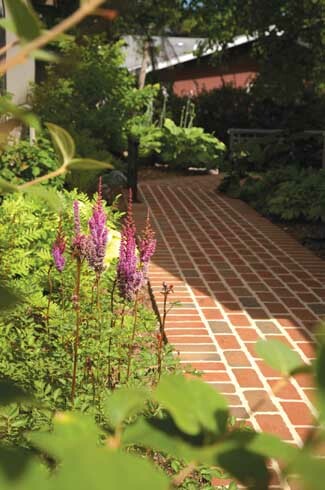 Eventually, they managed to win over the client, who was determined about the mortar-brick paving, but open to options for beautifying the landscape with more than the regular fare, especially when presented with tangible proof: colour, texture and seasonal interest naturals (perennials and ornamental grass). So, the happy ending now includes a client who went the “I’m lovin’ it” way and knows each of these garden aesthetics by name and thoroughly enjoys them during his after-work walks. The mortar brick paving determined by the client predominantly in view in shaded areas, especially around the front walk, where the focus is on texture, rather than colour. 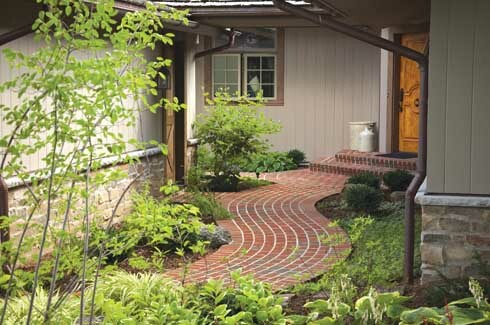 Other rustic accents incorporated into the project include granite fieldstone boulders indigenous to Wisconsin used in the edges of the paved brick surfaces, specific ones picked for their character and interest value and others placed strategically into the layout of the brick work. 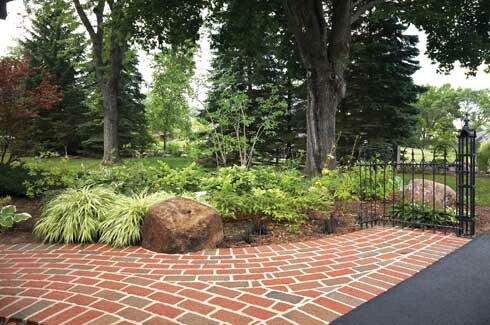 The seemingly random planting of native perennials – a rather demure designer touch to the visionary strengths of the GLS team – works wonders, lending the walkway a picturesque feel. 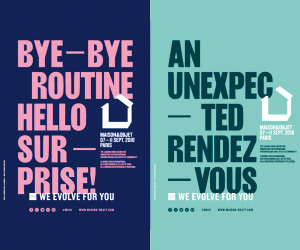 A few facts about the interesting designers. Self-confessed “Design Junkies,” James and Kerry share a love for landscape designing at par with their interest in iconic American Industrial Design, proven by prized possessions, namely, a Harley-Davidson motorcycle and a vintage Airstream Globetrotter camper. Other common love interests for both are plants, though while James obsesses about his 150 varieties of Hostas and is forever creating more shade for them (when not debating merits of design documentaries like Helvetica or Objectified with Kerry! ), Kerry, an indoor plant collector, dreams of more windows – when she is not scouring local garage sales and flea markets for vintage furniture, art objects and literary books!